Liz McAlister, co-founder and once-and-future member of Jonah House, has taken part in her second Plowshares action. 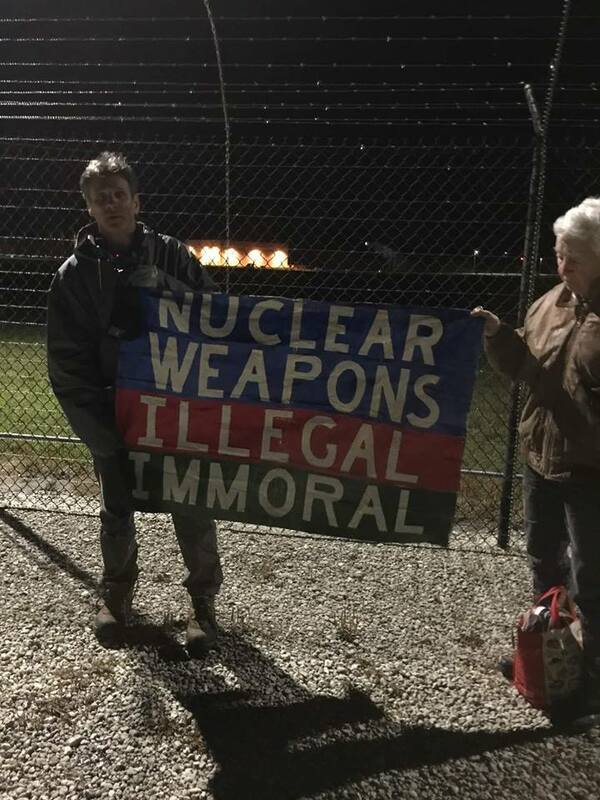 She, and six others, calling themselves the Kings Bay Plowshares, used the occasion of the 50th anniversary of the assassination of Martin Luther King, Jr., to symbolically disarm the Trident 9 first-strike nuclear weapon system in King’s Bay, Georgia. Quoting King’s “Beyond Vietnam” speech, delivered on April 4, 1967, the group decried the giant triplets of militarism, racism, and consumerism, showing how these three are intimately interconnected.